Jade rollers, jade gua sha stone scraping tools have been used in China and Asia for centuries to balance the meridians and body qi energy. 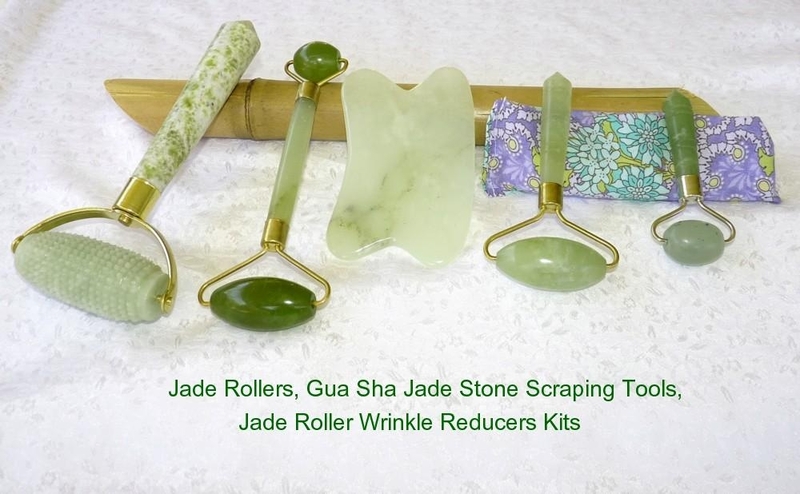 Jade rollers have also been used on the face for health, facial beauty and to reduce wrinkles. Learn more about these products and view a collection of genuine, natural Chinese jade health tools. Jade eggs and ben wa balls are designed for women who want an alternative for kegel exercise and to improve vaginal strength and lubrication. 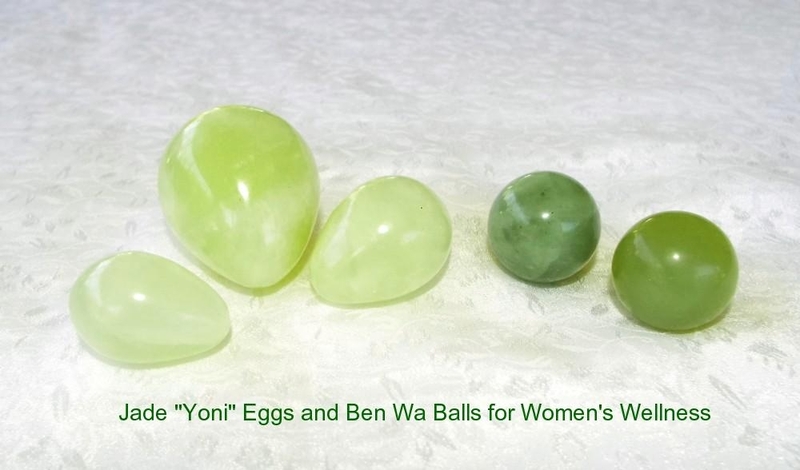 Read more about jade "yoni" eggs and ben wa balls, view a video, and a selection of genuine and natural Chinese jade eggs and ben wa balls for women's health. Chinese jade bangle bracelets have been worn by Chinese and Asian people for centuries. 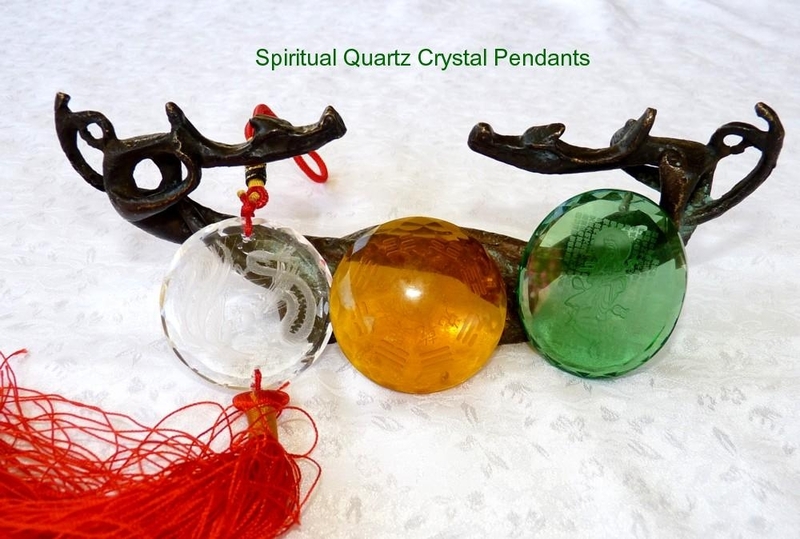 Chinese people believe the jade qi energy helps the body qi energy to be more balanced for better health. And they are beautiful to wear. 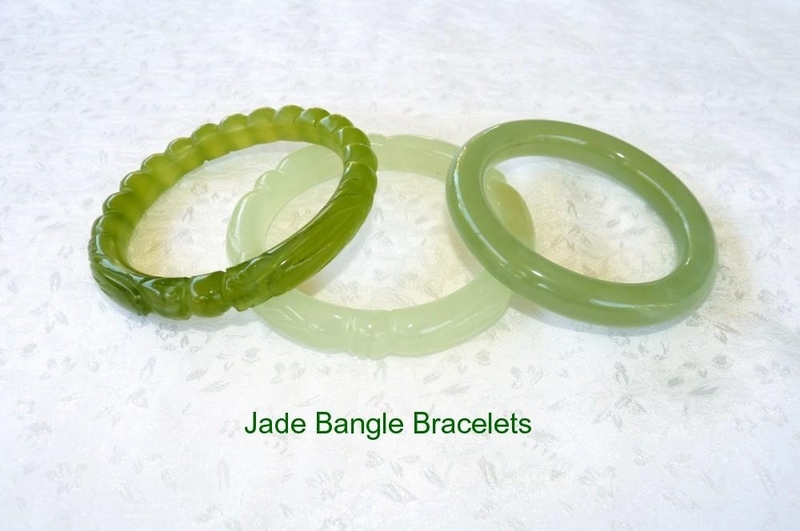 View information about how to find your jade bangle bracelet size. And view a collection of classic round jade bangle bracelets, "modern" jade bangles that are flat inside, jade bangles with carving of symbols for extra interest, and old style carved Dynasty jade bangle bracelets. 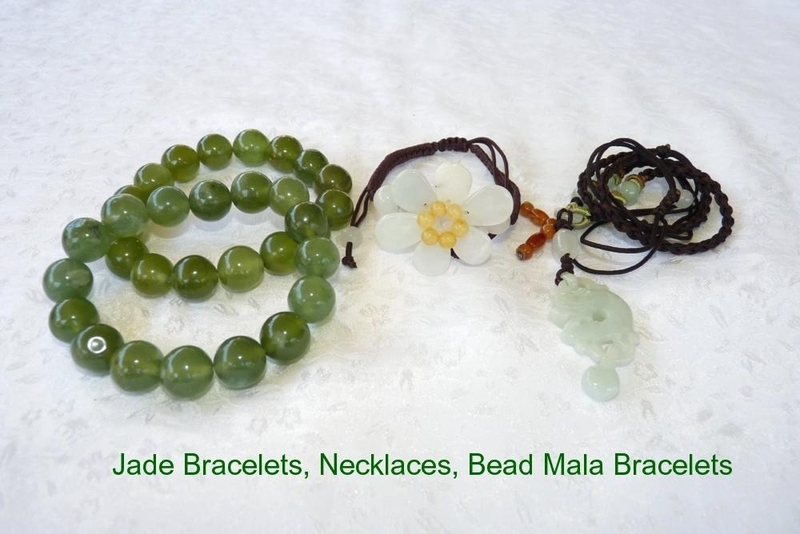 Jade bead bracelets and mala bracelets not only look great but feel wonderful energetically to wear. Jade pendants can have special good feelings when worn close to the heart. View a collection of traditional and modern Chinese jade bead bracelets, pendants, adjustable bracelets and necklaces.